Heat milk in a saucepan over low heat. 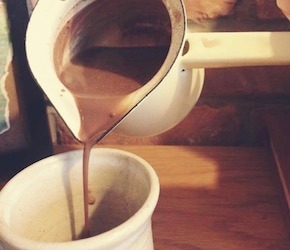 Whisk in cocoa powder and sweetener of choice until fully dissolved and at desired temperature. Serve in your favourite mug and enjoy!